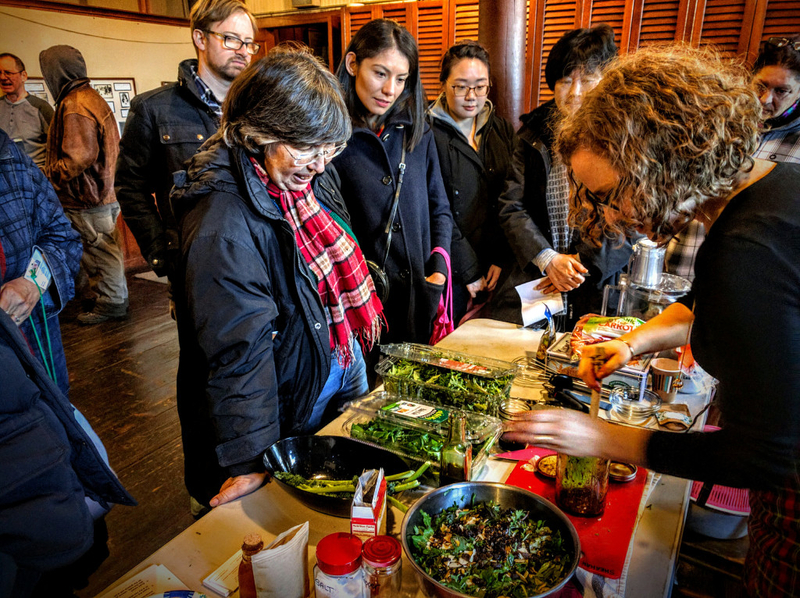 Neighborhood residents and local farmers will launch the 2018 season of Flushing CSA at the 2018 Meet the Farmer community forum on Sunday, March 18, 2-6pm, at the Quaker Meetinghouse, located at 137-16 Northern Boulevard in Flushing, Queens. This event is free and open to the public. Refreshments served. Limited parking available. This year’s Meet the Farmer will feature a free screening of “Farmers for America,” an award-winning documentary film by Graham Meriwether that traces the extraordinary changes coming to America’s food system as consumers flock to farmers’ markets, embrace farm-to-table lifestyles and insist on knowing where their food is coming from. At the center of the film are the farmers, young and old, who provide the spirit and energy to bring urban and rural America together over what both share in common: our food. Flushing CSA stands for “Community Supported Agriculture,” a cooperative food sharing model that seeks to expand access to fresh, locally-grown, organic food to area families. Flushing CSA is run by community volunteers, who operate a weekly pick-up site at Flushing Town Hall. Farmers from Golden Earthworm Organic and Goodale farms will be on hand to answer questions about organic farming techniques and how CSAs contribute to sustainable agriculture, regional economic development, and the livelihoods of small American farmers. Meet the Farmer will also feature presentations by local organic food purveyors, including: Elizabeth Ritter, founder of Sweet William’s Torte Shoppe; Victor Eskenazi, founder of S&V Jams; Doaa Elkady, founder of Spice Tree Organics; and, the representatives from Queens Hot Sauce, Lewis Waite Farm, Green Earth Urban Gardens, and Astor Apiaries (Queens Honey). 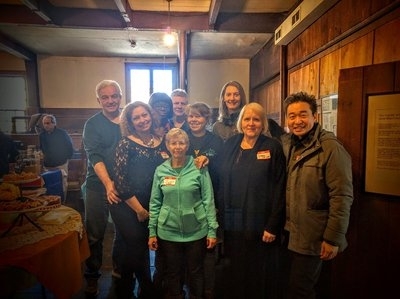 A number of health care and nutrition experts as well as urban farm groups will also present information at Meet the Farmer 2018, which is sponsored by Flushing Meeting of the Religious Society of Friends (Quakers), the Greater Flushing Chamber of Commerce, and the Just Food network. Attendees will be eligible for a free raffle prize drawing and can get information about Flushing CSA and how to join this year. “I joined my first CSA in 2007 because I wanted organic vegetables from a reliable source. In addition to the quality of the produce, I came to enjoy eating seasonally, and having to come up with creative ways to use the contents of each week’s delivery, states Larry Leung, a member of Flushing CSA. “Although food quality was the initial reasoning for joining a CSA, I enjoyed meeting and working with other members. These were neighbors I would not have met under other circumstances. When the Flushing CSA started in 2012, I joined and found a group similarly interested in supporting neighbors while enjoying the produce from a local farm. For more information about Flushing CSA, visit flushingcsa.com.